With previous reports I have submitted and closed them and the expenses have appeared individually in my QB Online account. I must have changed the crucial setting because now the expenses appear as one 'cheque' for the total amount of all of the expenses in that report. How do I go back to having all expenses appear individually? [Policy Name] > Connections > QuickBooks Online > Configure > Export Tab. These options will export at the line-item level (per expense), whereas "Check" will always export at the report level (per report). 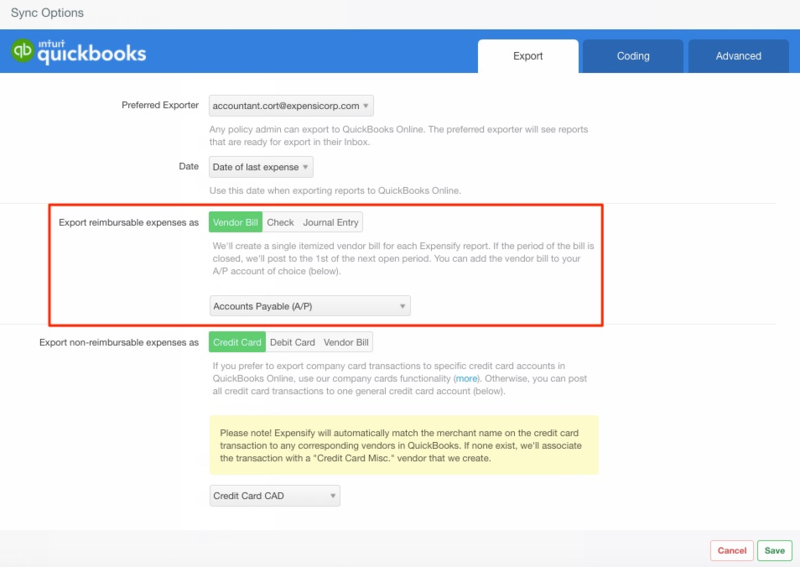 Check the guide here for more on QuickBooks Online Export options.